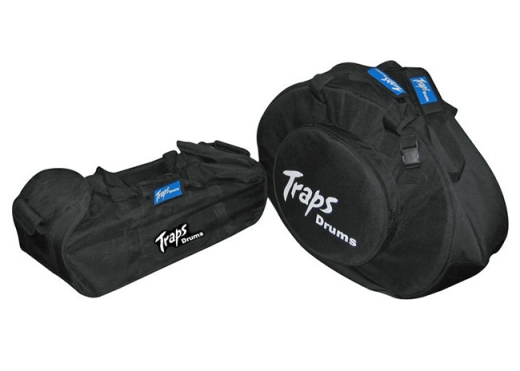 Keep your Traps A400 kit safe and secure with this 2 bag set. These Traps branded padded cases offer protection for the hardware and pads. Featuring a tough nylon exterior that can withstand the elements, each bag also has an accessory pouch to make transport even more compact. Heavy duty zippers on each bag keeps the kit in place. Front external pouch holds cymbals up to 15"
Rear external pocket measure up to 29" for additional storage.